Muckibus – drunkenly sentimental; maudlin. You can do it all in beautiful Barcelona! Whether you want history, literature, music, social life, business, or just the beauty of the seaside, you will find it here. I’ve been there and loved it but while cities are great to visit I’d rather live in the country. This is part of Prime Minister Bill English’s answer to one of 12 questions posed by Jennifer Dann. The question was on how do he and his wife Mary juggle their work and family life. That they do, and do it so well, is a tribute to both of them. Although being public about it doesn’t come naturally to either of them. Modern politics and media force politicians to reveal more about themselves than was expected in the past, which isn’t easy for someone like the PM who admits to being shy. I’m quite a shy person. I guess it’s part of that rural, big family, Catholic culture that I’m from which tends to dampen excessive self-awareness. It’s just, “Be humble. Don’t go out there telling everyone how great you are. Someone else is probably doing it better anyway.” But I’m enjoying it more than I expected. But showing more of the person engages people who aren’t interested in politics. Answers like this, to the question of what he’s learned from his Samoan and Italian parents-in-law helps us understand what informs his politics. They’re a remarkable example of the promise of coming to New Zealand being realised. They raised 13 children on one income and own their own home. They had a very strong focus on their kids getting educated and maintaining their health which is a challenge in a large family on a low income. I have enormous respect for their effort and I’m so pleased I’ve had exposure to different cultures which I wouldn’t have had as a Pakeha farmer from Southland. His upbringing is also an important part of who he is. A mixture of discipline, hard work and adventure. We were expected to contribute to the farm and the household to the maximum of our ability at whatever age. When I was 10 I was sent out to plough our paddock on the tractor with very little instruction. At age 12 I cooked breakfast for 20 people when the shearers came up for breakfast. It was pretty basic, eggs cooked fast in hot fat. The sibling rivalry was constant. I was part of a mob of five boys at the tail end. As long as you stayed in your place it was trouble-free. I did better at school than some of them but it wasn’t like you were allowed to stay home and read books. It was a household where other skills were highly valued. You might get the best grades but were you the fastest shearer or the best fencer? My father said we were more nuggety than talented. My faith is a significant part of who I am so it can’t help but affect my personal decision-making. It’s part of your conscience. I go to church most Sundays. I like sitting down the back as just another congregation member. You hear ideas around humility, forgiveness and mercy which are not part of the general political round. I find it very balancing. Humility, forgiveness and mercy aren’t values often attributed to politicians and most Prime Ministers don’t clean the loos at night. But he’s a better man, and PM, for all of that. The key to success for everything in business, science and technology is never to follow the others. – Masaru Ibuka who was born on this day in 1908. 491 – Flavius Anastasius became Byzantine Emperor, with the name ofAnastasius I. 1079 – Bishop Stanislaus of Krakow was executed by order of Bolesław II of Poland. 1241 – Batu Khan defeated Béla IV of Hungary at the Battle of Muhi. 1512 – War of the League of Cambrai: French forces led by Gaston de Foixwon the Battle of Ravenna. 1689 William III and Mary II were crowned as joint sovereigns of Britain. 1713 War of the Spanish Succession (Queen Anne’s War): Treaty of Utrecht was signed. 1770 – George Canning, English lawyer and politician, Prime Minister of the United Kingdom, was born (d. 1827). 1775 The last execution for witchcraft in Germany took place. 1814 The Treaty of Fontainebleau ended the War of the Sixth Coalition against Napoleon Bonaparte, and forces him to abdicate unconditionally for the first time. 1828 Foundation of Bahia Blanca. 1856 Battle of Rivas: Juan Santamaria burned down the hostel where William Walker’s filibusters were holed up. 1865 President Abraham Lincoln made his last public speech. 1868 The Shogunate was abolished in Japan. 1869 – The Duke of Edinburgh, Prince Alfred, arrived in Wellington as captain of HMS Galatea. His was the first visit by a member of the Royal Family to New Zealand. 1873 Edward Lawson, Scottish recipient of the Victoria Cross, was born (d. 1955). 1876 The Benevolent and Protective Order of Elks was organised. 1888 The Concertgebouw in Amsterdam was inaugurated. 1899 Spain ceded Puerto Rico to the United States. 1907 Ivor Spencer-Thomas, English farmer and entrepreneur, was born (d. 2001). 1908 Jane Bolin, first African-American woman judge, was born (d. 2007). 1908 Masaru Ibuka, Japanese industrialist (Sony), was born (d. 1997). 1916 – The Minnewaska, a troopship carrying the headquarters of the recently formed New Zealand Division, arrived in Marseilles, France. 1919 The International Labour Organisation was founded. 1921 The Emirate of Transjordan was created. 1928 – Ethel Kennedy, American philanthropist. was born. 1937 – Jill Gascoine, English actress and author, was born. 1945 World War II: American forces liberated the Buchenwaldconcentration camp. 1951 Korean War: President Harry Truman relieved General Douglas MacArthur of overall command in Korea. 1951 The Stone of Scone, the stone upon which Scottish monarchs were traditionally crowned, was found on the site of the altar of Arbroath Abbey. It had been taken by Scottish nationalist students from its place in Westminster Abbey. 1952 The Battle of Nanri Island took place. 1953 Guy Verhofstadt, former Prime Minister of Belgium, was born. 1955 The Air India Kashmir Princess was bombed and crashed in a failed assassination attempt on Zhou Enlai by the Kuomintang. 1957 Britain agreed to Singaporean self-rule. 1960 Jeremy Clarkson, British journalist, was born. 1961 The trial of Adolf Eichmann began in Jerusalem. 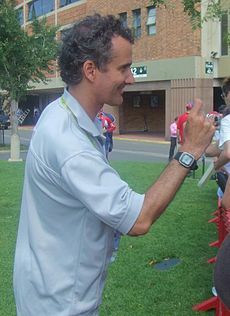 1963 Billy Bowden, New Zealand umpire, was born. 1965 The Palm Sunday tornado outbreak of 1965: Fifty-one tornadoes hit in six Midwestern states, killing 256 people. 1968 President Lyndon B. Johnson signed the Civil Rights Act of 1968, prohibiting discrimination in the sale, rental, and financing of housing. 1970 Apollo 13 was launched. 1976 The Apple I was created. 1979 Ugandan dictator Idi Amin was deposed. 1981 A massive riot in Brixton, South London, resulted in almost 300 police injuries and 65 serious civilian injuries. 1986 The FBI Miami shootout between eight Federal Bureau of Investigation agents and two heavily-armed and well-trained gunmen. 1987 The London Agreement was secretly signed between Israeli Foreign Affairs Minister Shimon Peres and King Hussein of Jordan. 1990 – Customs officers in Middlesbrough, said they had seized what they believed to be the barrel of a massive gun on a ship bound for Iraq. 2001 The crew of a United States EP-3E aircraft that landed in Hainan, China after a collision with an J-8 fighter was released. 2002 The Ghriba synagogue bombing by Al Qaeda killed 21 in Tunisia. 2002 – An attempted coup d’état in Venezuela against President Hugo Chávez took place. 2006 Iranian President Mahmoud Ahmadinejad announced that Iran had successfully enriched uranium. 2007 2007 Algiers bombings: Two bombings in the Algerian capital of Algiers, killed 33 people and wounded a further 222 others. 2011 – Minsk Metro bombing. 2012 – A magnitude 8.2 earthquake hit Indonesia, off northern Sumatra at a depth of 16.4 km. After that there are still more continuation earthquake. Tsunami had hit the island of Nias at Indonesia. You are currently browsing the Homepaddock blog archives for the day Tuesday, April 11th, 2017.